There are hundreds of search engine algorithm changes per year with a few major changes happening annually. Certain updates of the algorithm have devastated businesses that did not invest in quality content. The quality of sites where a link was published were also scrutinized heavily. This led to things like negative SEO where a company would market in a way to damage the search engine rankings of their competitor. The updates have been both major and minor with some making big changes while others were so minor most SEOs didn’t notice. The following are some major points of emphasis over the years that algorithm updates stressed. The stuffing of keywords into an article is still commonplace and used by those that do not understand its danger. Overstuffing of these keywords can lead an article to be far too spammy looking and can actually do more harm than good. Article quality started to be more important to Google so a poorly written article with spelling errors or copy written poorly started to be reprimanded. This gave the reputable sites more of a draw for those trying to publish links there as they have editorial processes when it comes to guest posting. Brand mentions can be easier than links to place on these sites at times though as certain editors falsely believe that outbound links of any kind can hurt their website ranking. Top influencers work directly with editors and publications to ensure the highest quality article that will appeal to the readers of the site. Content is king and will continue to be so it is time to adjust by putting more time into a great article rather than putting up 10 less than average articles. There are websites that publish for shear SEO reasons but these rarely have any social interaction from readers. This is due to the site not having readership as they continually publish generic content that can be tough to read if not done by a native speaker. The best websites engage with followers whether it is a comment on the latest article published or it is an issue that is relevant to the site being discussed. Google places emphasis on this as a way to weed out those sites that are not for the readers but rather companies trying to promote products/services. By working directly with many sites marketing companies have the option in some circumstances for the website to share your article on social media to possibly thousands of their followers. There were companies both large and small that tried to game the SEO industry by putting up quite a few links regardless if the site they were linking back from was not relevant at all. There were even companies putting links on sites that were not even in their host country language. To say the least they were not trying to generate clicks from the link but rather reap the benefits of publishing the link in the first place. Large companies like that of Expedia were even found to be hiding links in the coding of websites leading to a massive penalty that took the travel juggernaut off of the first page for many of their search terms. There is no single thing that is more frustrating than going to a website on your phone only to find out it is difficult or impossible to navigate the site effectively. Google heard the complaints of the people and stated that sites with a mobile version would begin to be ranked differently than those without. This put a huge emphasis on mobile optimization as web traffic has continued to grow in a mobile sense when compared to desktop computers. User experience was something that Google continued to keep in mind when it comes to page layouts and loading times. Loading times can be a huge problem with a homepage that is full of media like video causing some slower browsers/internet connections to freeze/fail. A call to action on each page is also something that plenty of websites are still missing so the layout of the page should stress what it is that you want the page to do. The addition of a summary to an article published can make it far easier for Google as they do not have to generate a snippet that could be inaccurate for a piece of content. 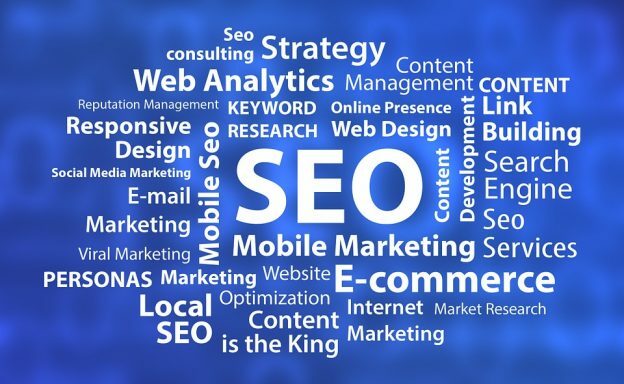 Metatags and setting keywords is also important in order to give your content the best value in terms of SEO. Content can also be updated to be more current whether it is an article about CRM software or a top 10 articles on tech companies to watch. As you can see Google and its algorithm will continue to test marketer’s skills yearly. Continually producing quality content and modifying the company site to the best of your ability will help you land the best Google ranking yet.